We were delighted to see so many parents attending the 5 Keys Award Assembly on the last day of term. The children were presented with the wrist band linked to the 5 Keys for their achievement. A news letter was sent home detailing those who had gained an award. I am delighted to inform you that our school is taking part in the Erasmus+ School Partnerships project called ‘Sounds around Us’. 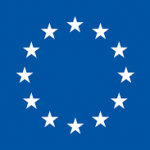 Erasmus+ is the European Union programme for education, training, youth and sport. It runs for seven years, from 2014 to 2020. Erasmus+ aims to modernise education, training and youth work across Europe. It is open to education, training, youth and sport organisations across all sectors of lifelong learning, including school education. It offers exciting opportunities for UK participants to then study, work, volunteer, teach and train abroad in Europe. To discover more about Erasmus+, visit https://www.erasmusplus.org.uk/about-erasmus . A celebration of diversity, and a great deal of fun! The main goal of our project is to get pupils involved more in exploring Science through the use of Music and IT equipment. Most project activities will be included in everyday education. Project meetings will enable participants to integrate, share ideas and have a better understanding of the host country and its schools. At the moment we are getting ready to host participants from our partner schools in Poland, Latvia and Lithuania. They will be visiting us from 31st October – 4th November. As a project co-ordinator, I will keep you updated on the latest news about our project. RGE on Thursday 20 October. The children are invited to bring tinned foods and non-perishable items to school. Donations can include cereals, pasta, baked beans, rice, noodles, tea bags, biscuits, toilet rolls, tinned fruit and vegetables, soup, shower gel, pasta sauces etc. The school will be offering parents the opportunity to come into school on Tuesday 18th October between 3.30 pm and 5 pm to meet with teaching and class staff. Parents will be sent a letter from their child’s class teacher and will be able to choose a convenient time that they can attend.